The Accordion style credit card wallet means no more searching for the card you want! No more searching for the card you need with this wallet. The Accordion Style Credit Card Wallet stores everything neatly and securely in one! 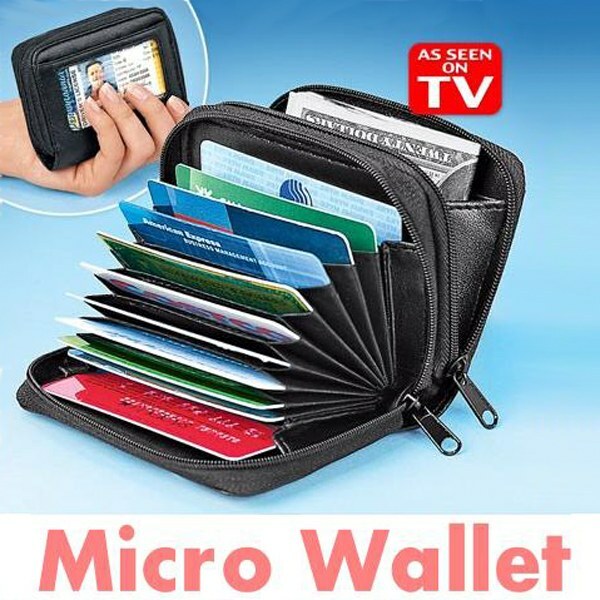 Made from genuine leather, it is a palm sized wallet, with the new accordion-fold interior, gives you plenty of room for 11 credit cards, photos, business cards, driver&apos;s license, bills, coins, receipts and more. Best of all there&apos;s no searching for the card you need; as the accordian folds open, everything you carry is organized and clearly visible. It&apos;s the perfect gift for men and women who hate lugging around a big heavy wallet. I received the wallet and it was made so poorly that it already broke, very cheaply made wallet. Not happy at all with my purchase. Not sure what 1 star is but I don&apos;t like the wallet and I would like to return it. Not happy with product. Everything I expected it to be and more.